Learn the basic terms used to describe matter. The definition of chemistry—the study of the interactions of matter with other matter and with energy—uses some terms that should also be defined. We start the study of chemistry by defining some basic terms. Matter. A book is matter, a computer is matter, food is matter, and dirt in the ground is matter. Sometimes matter may be difficult to identify. For example, air is matter, but because it is so thin compared to other matter (e.g., a book, a computer, food, and dirt), we sometimes forget that air has mass and takes up space. Things that are not matter include thoughts, ideas, emotions, and hopes. Which of the following is matter and not matter? A hot dog has mass and takes up space, so it is matter. Love is an emotion, and emotions are not matter. A tree has mass and takes up space, so it is matter. The invention itself may be matter, but the idea for it is not. Chemistry recognizes three fundamental phases of matter: solid (left), liquid (middle), and gas (right). “Ice cubes” by Darren Hester is licensed under the Creative Commons Attribution-Share Alike 2.5 Generic; “Glass of Water” by Greg Riegler is licensed under the Creative Commons Attribution 2.0 Generic; Tea Time by Vélocia is licensed under the Creative Commons Attribution-NonCommercial- NoDerivs 2.0 Generic. To understand matter and how it changes, we need to be able to describe matter. There are two basic ways to describe matter: physical properties and chemical properties. Physical properties are characteristics that describe matter as it exists. Some of many physical characteristics of matter are shape, color, size, and temperature. An important physical property is the phase (or state) of matter. The three fundamental phases of matter are solid, liquid, and gas (see Figure 1.1 “The Phases of Matter”). The fact that this match burns is a chemical property of the match. 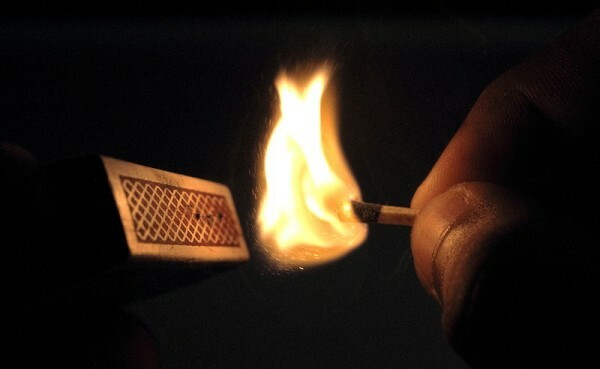 “lit a match” (http://commons.wikimedia.org/wiki/File:Match_stick,_lit_a_match,_match_box,_fire.JPG) by Jith JR is licensed under the Creative Commons Attribution-Share Alike 3.0 Unported. Chemical properties are characteristics of matter that describe how matter changes form in the presence of other matter. Does a sample of matter burn? Burning is a chemical property. Does it behave violently when put in water? This reaction is a chemical property as well (Figure 1.2 “Chemical Properties”). In the following chapters, we will see how descriptions of physical and chemical properties are important aspects of chemistry. 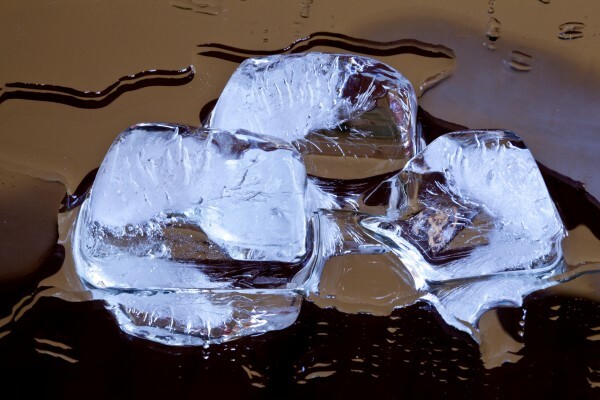 The solid ice melts into liquid water—a physical change. “Melting Ice Cubes” (https://www.flickr.com/photos/jariceiii/5012344135/) by Jar is licensed under Creative Commons Attribution 2.0 Generic. If matter always stayed the same, chemistry would be rather boring. Fortunately, a major part of chemistry involves change. A physical change occurs when a sample of matter changes one or more of its physical properties. For example, a solid may melt (Figure 1.3 “Physical Changes”), or alcohol in a thermometer may change volume as the temperature changes. A physical change does not affect the chemical composition of matter. A chemical change is the process of demonstrating a chemical property, such as the burning match in Figure 1.2 “Chemical Properties”. As the matter in the match burns, its chemical composition changes, and new forms of matter with new physical properties are created. Note that chemical changes are frequently accompanied by physical changes, as the new matter will likely have different physical properties from the original matter. Describe each process as a physical change or a chemical change. Water in the air turns into snow. A person’s hair is cut. Bread dough becomes fresh bread in an oven. Because the water is going from a gas phase to a solid phase, this is a physical change. Your long hair is being shortened. This is a physical change. Identify each process as a physical change or a chemical change. A fire is raging in a fireplace. Water is warmed to make a cup of coffee. A sample of matter that has the same physical and chemical properties throughout is called a substance. Sometimes the phrase pure substance is used, but the word pure isn’t needed. The definition of the term substance is an example of how chemistry has a specific definition for a word that is used in everyday language with a different, vaguer definition. Here, we will use the term substance with its strict chemical definition. Chemistry recognizes two different types of substances: elements and compounds. An element is the simplest type of chemical substance; it cannot be broken down into simpler chemical substances by ordinary chemical means. There are about 115 elements known to science, of which 80 are stable. (The other elements are radioactive, a condition we will consider in Chapter 15 “Nuclear Chemistry”.) Each element has its own unique set of physical and chemical properties. Examples of elements include iron, carbon, and gold. A compound is a combination of more than one element. The physical and chemical properties of a compound are different from the physical and chemical properties of its constituent elements; that is, it behaves as a completely different substance. There are over 50 million compounds known, and more are being discovered daily. Examples of compounds include water, penicillin, and sodium chloride (the chemical name for common table salt). Elements and compounds are not the only ways in which matter can be present. 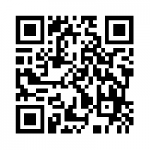 We frequently encounter objects that are physical combinations of more than one element or compound. Physical combinations of more than one substance are called mixtures. There are two types of mixtures. A heterogeneous mixture is a mixture composed of two or more substances. It is easy to tell, sometimes by the naked eye, that more than one substance is present. A homogeneous mixture is a combination of two or more substances that is so intimately mixed that the mixture behaves as a single substance. Another word for a homogeneous mixture is solution. Thus, a combination of salt and steel wool is a heterogeneous mixture because it is easy to see which particles of the matter are salt crystals and which are steel wool. On the other hand, if you take salt crystals and dissolve them in water, it is very difficult to tell that you have more than one substance present just by looking—even if you use a powerful microscope. The salt dissolved in water is a homogeneous mixture, or a solution (Figure 1.4 “Types of Mixtures”). On the left, the combination of two substances is a heterogeneous mixture because the particles of the two components look different. On the right, the salt crystals have dissolved in the water so finely that you cannot tell that salt is present. The homogeneous mixture appears like a single substance. “flour and cocoa mixture” by Jessica and Lon Binder is licensed under Creative Commons Attribution-NonCommercial-NoDerivs 2.0 Generic; “a glass of water” by Bryan is licensed under a Creative Commons Attribution-NoDerivs 2.0 Generic. Identify the following combinations as heterogeneous mixtures or homogenous mixtures. Because carbon dioxide is dissolved in water, we can infer from the behaviour of salt crystals dissolved in water that carbon dioxide dissolved in water is (also) a homogeneous mixture. Assuming that the iron and sulfur are simply mixed together, it should be easy to see what is iron and what is sulfur, so this is a heterogeneous mixture. Are the following combinations homogeneous mixtures or heterogeneous mixtures? There are other descriptors that we can use to describe matter, especially elements. We can usually divide elements into metals and nonmetals, and each set shares certain (but not always all) properties. A metal is an element that is solid at room temperature (although mercury is a well-known exception), is shiny and silvery, conducts electricity and heat well, can be pounded into thin sheets (a property called malleability), and can be drawn into thin wires (a property called ductility). A nonmetal is an element that is brittle when solid, does not conduct electricity or heat very well, and cannot be made into thin sheets or wires (Figure 1.5 “Semimetals”). Nonmetals also exist in a variety of phases and colors at room temperature. Some elements have properties of both metals and nonmetals and are called semimetals (or metalloids). We will see later how these descriptions can be assigned rather easily to various elements. On the left is some elemental mercury, the only metal that exists as a liquid at room temperature. It has all the other expected properties of a metal. 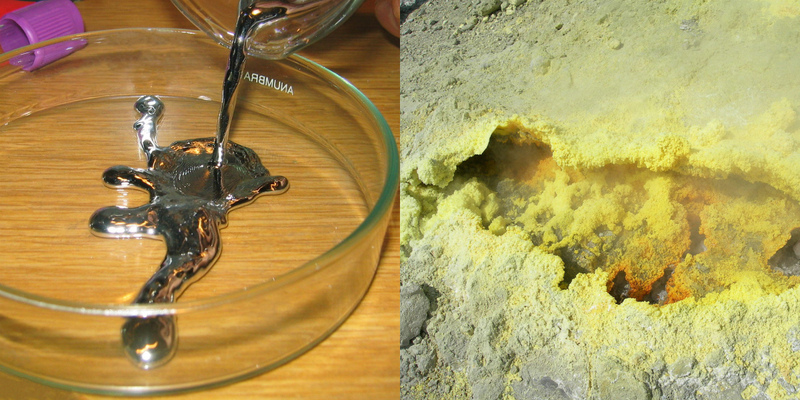 On the right, elemental sulfur is a yellow nonmetal that usually is found as a powder. “Pouring liquid mercury bionerd” is licensed under the Creative CommonsAttribution 3.0 Unported; “Sulphur-vulcano” by Heidi Soosalu is licensed under the Creative Commons Attribution-Share Alike 3.0 Unported. Figure 1.6 “Describing Matter” is a flowchart of the relationships among the different ways of describing matter. This flowchart shows how matter can be described. Most people have a morning ritual, a process that they go through every morning to get ready for the day. Chemistry appears in many of these activities. If you take a shower or bath in the morning, you probably use soap, shampoo, or both. These items contain chemicals that interact with the oil and dirt on your body and hair to remove them and wash them away. Many of these products also contain chemicals that make you smell good; they are called fragrances. When you brush your teeth in the morning, you usually use toothpaste, a form of soap, to clean your teeth. Toothpastes typically contain tiny, hard particles called abrasives that physically scrub your teeth. Many toothpastes also contain fluoride, a substance that chemically interacts with the surface of the teeth to help prevent cavities. Perhaps you take vitamins, supplements, or medicines every morning. Vitamins and other supplements contain chemicals your body needs in small amounts to function properly. Medicines are chemicals that help combat diseases and promote health. Perhaps you make some fried eggs for breakfast. Frying eggs involves heating them enough so that a chemical reaction occurs to cook the eggs. After you eat, the food in your stomach is chemically reacted so that the body (mostly the intestines) can absorb food, water, and other nutrients. If you drive or take the bus to school or work, you are using a vehicle that probably burns gasoline, a material that burns fairly easily and provides energy to power the vehicle. Recall that burning is a chemical change. These are just a few examples of how chemistry impacts your everyday life. And we haven’t even made it to lunch yet! Examples of chemistry can be found everywhere—such as in personal hygiene products, food, and motor vehicles. “Soaps and Shampoos” by Takashi Ota is licensed under Creative Commons Attribution 2.0 Generic; “English Breakfast” is licensed under the Creative Commons Attribution-Share Alike 3.0 Unported; “Langley, Trans-Canada Highway” by James is licensed under the Creative Commons Attribution- Share Alike 3.0 Unported. Chemistry is the study of matter and its interactions with other matter and energy. Matter can be described in terms of physical properties and chemical properties. Physical properties and chemical properties of matter can change. Matter is composed of elements and compounds. Combinations of different substances are called mixtures. Elements can be described as metals, nonmetals, and semimetals. Identify each as either matter or not matter. 2. Give an example of matter in each phase: solid, liquid, or gas. 3. Does each statement represent a physical property or a chemical property? b) Steel wool burns when ignited by a flame. c) A gallon of milk weighs over eight pounds. 4. Does each statement represent a physical property or a chemical property? a) A pile of leaves slowly rots in the backyard. b) In the presence of oxygen, hydrogen can interact to make water. c) Gold can be stretched into very thin wires. 5. Does each statement represent a physical change or a chemical change? a) Water boils and becomes steam. b) Food is converted into usable form by the digestive system. c) The alcohol in many thermometers freezes at about −40 degrees Fahrenheit. 6. Does each statement represent a physical change or a chemical change? a) Graphite, a form of elemental carbon, can be turned into diamond, another form of carbon, at very high temperatures and pressures. b) The house across the street has been painted a new color. c) The elements sodium and chlorine come together to make a new substance called sodium chloride. 7. Distinguish between an element and a compound. About how many of each are known? 8. What is the difference between a homogeneous mixture and a heterogeneous mixture? 9. Identify each as a heterogeneous mixture or a homogeneous mixture. a) Salt is mixed with pepper. b) Sugar is dissolved in water. c) Pasta is cooked in boiling water. 10. Identify each as a heterogeneous mixture or a homogeneous mixture. 11. In Exercise 9, which choices are also solutions? 12. In Exercise 10, which choices are also solutions? 13. Why is iron considered a metal? 14. Why is oxygen considered a nonmetal? 15. Distinguish between a metal and a nonmetal. 16. What properties do semimetals have? 17. Elemental carbon is a black, dull-looking solid that conducts heat and electricity well. It is very brittle and cannot be made into thin sheets or long wires. Of these properties, how does carbon behave as a metal? How does carbon behave as a nonmetal? 18. Pure silicon is shiny and silvery but does not conduct electricity or heat well. Of these properties, how does silicon behave as a metal? How does silicon behave as a nonmetal? 7. An element is a fundamental chemical part of a substance; there are about 115 known elements. 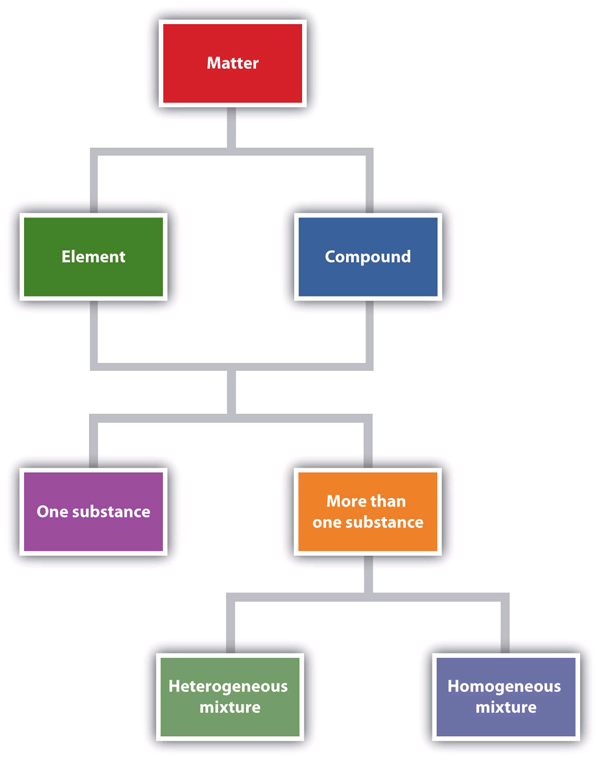 A compound is a combination of elements that acts as a different substance; there are over 50 million known substances. 11. Choice b is a solution. 13. Iron is a metal because it is solid, is shiny, and conducts electricity and heat well. 15. Metals are typically shiny, conduct electricity and heat well, and are malleable and ductile; nonmetals are a variety of colors and phases, are brittle in the solid phase, and do not conduct heat or electricity well. 17. Carbon behaves as a metal because it conducts heat and electricity well. It is a nonmetal because it is black and brittle and cannot be made into sheets or wires. Some Basic Definitions by Jessie A. Key is licensed under a Creative Commons Attribution-NonCommercial-ShareAlike 4.0 International License, except where otherwise noted.